On this Masters course you will learn to make decisions in complex and unpredictable situations, and you will ultimately contribute to the essential support framework demanded by the sport industry for success. The programme opens up a world of scientific innovation, research and the related application of specially designed nutritional support that can help sportspeople to overcome setbacks and achieve their goals. On successful completion of the course, you will understand how to deal with complex issues within nutrition, both systematically and creatively, and make sound judgements in the absence of incomplete data. You will also develop essential skills in communicating and implementing your recommendations for clients as well as specialist and non-specialist audiences. 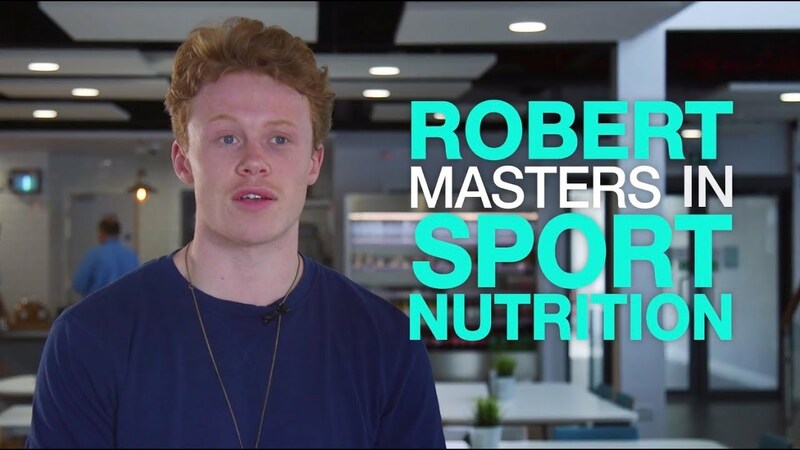 Robert Seaborne studied for his masters in Sport Nutrition at LJMU. He is currently undertaking a PhD in Molecular Physiology. The integrated and critical nature of the programme promotes qualities and skills relevant to employability within the sports nutrition field. The degree is ideal for individuals looking to work as Sports Nutritionists with national governing bodies such as the English Institute of Sport (EIS). Many graduates from this programme have gone on to work as Sport Nutritionists in professional sports clubs and/or national Institutes of sport including Manchester United FC, Warrington Wolves, The RFU, The EIS and Team Sky. Some have gone on to further studies, e.g. a PhD in Sport Nutrition or Exercise Metabolism. Graduates also work as self-employed Sport Nutritionists for professional and amateur athletes. Although most graduates pursue accreditation with SENr and seek work in the field of sport nutrition, the degree is also ideally suited for Strength and Conditioning Practitioners who are looking to increase their knowledge and applied skills in nutrition, as well as those interested in using exercise nutrition to improve the health of the general public. The theoretical basis of the course will also be ideal if you wish to pursue further academic studies and move to a PhD in nutrition or exercise biochemistry. The translational skills taught on the course are applicable to working in the community and improving the health and fitness of the general population. The main focus of the programme, however, is on working with elite performers and investigating how nutrition can maximise the health, body composition and performance of athletes. "Graeme and his team have developed an outstanding Masters degree which has a great balance between academia and applied practice. 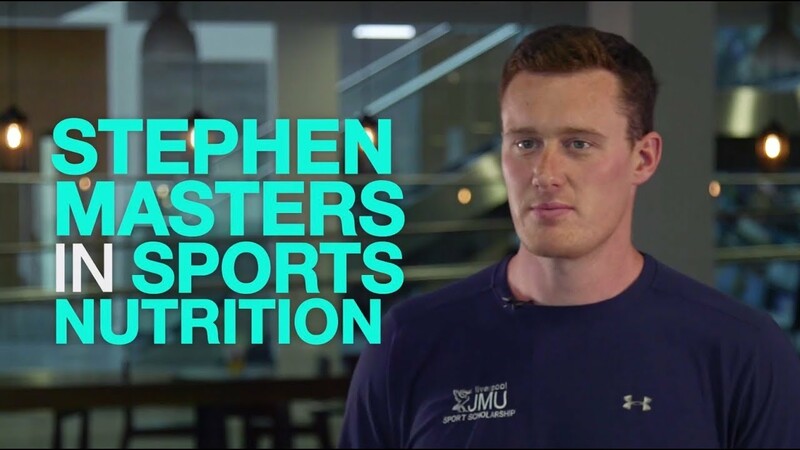 I have no doubt that students completing this degree will leave the programme with all of the skills required to deliver sports nutrition support to elite athletes and I would therefore give this degree my full support”. Your programme is made up of a number of core modules, a research project and an applied placement, as detailed below . This module is designed to lay the foundations on which the rest of the course will be based. The aim of this module is to develop a comprehensive baseline understanding of fundamental sports nutrition. Classical and contemporary literature will be studied, and critically evaluated in engaging and thought provoking lectures, seminars and laboratory practicals. This module is designed to equip you with the practical skills essential to work as a Sports Nutritionist. It covers key skills such as interview techniques, assessment of energy intake and expenditure and the assessment of body fat (aligned to ISAK standards). It will then look at how these techniques are implemented in a variety of sporting contexts. The aim of the module is to provide practical training in the hands-on skills that are required for a career in sports nutrition. This module aims to increase your understanding of the regulation of the metabolic processes by which muscles are provided with energy during exercise as well as examining the molecular mechanisms underpinning muscle adaptation to training, disuse and metabolic disease. This module will look at the most common supplements, the mechanisms of action, evidence for and against their use and the safety of the supplements.The module aims to develop your critical understanding of the use of performance enhancing drugs and supplements in sport. Having been taught fundamental Sports Nutrition in semester 1, as well as completing the practical skills module, you will now undergo a nine week placement to practice and develop these skills. The aim of the placement is to allow you to gain hands on experience in working as a Sports Nutritionist. This module will develop and extend your knowledge and practical experience of the research process and the use of advanced research skills. This will involve a critical analysis of the methodology and results of research and the assimilation of a research project that demonstrates the ability to plan, design and conduct a piece of independent research within a discipline of Sport and Exercise Science. Students will have approximately two hours per module per week of taught material and/or seminar work. This may be supplemented by reflective tutorials during the semester. Private study will cover both time spent studying (e.g. in the library), collecting data in the laboratory and completing directed tasks and coursework. Taught sessions will provide an orientation to the topic and opportunity for classroom discussion and debate. You will also be expected to read widely using primary sources of reference material. Our team of world-leading academics carefully design course delivery and assessment around their leading edge research to ensure that your learning experience is based on the latest information and relevant to effective practice in Sport Nutrition. links with the sporting industry that are fully integrated in the work we do with sporting professionals, teams and related businesses. Each student undertakes a 12 week applied placement mentored by academic staff engaged in applied consultancy. Assessment methods on this course include: extended essays, practical assessments, oral presentations, case studies, applied placement reports and research presentations. Gaining his PhD at LJMU in 2003, Graeme produced some of the first ever evidence to suggest that giving dietary antioxidants following damaging exercise may be doing more harm than good. He then moved to the University of Liverpool to study free radicals in skeletal muscle and ageing muscle before returning to LJMU. 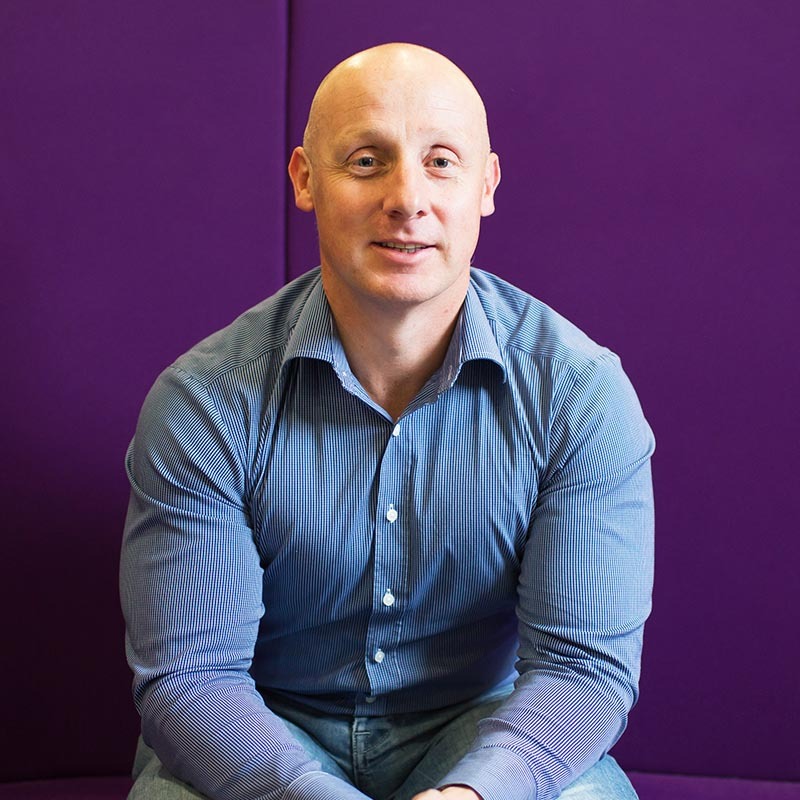 Graeme’s research interests span: ageing and skeletal muscle; nutrition and applied physiology of elite rugby; vitamin D deficiencies and athletic performance; free radicals and antioxidants. He has published some 80 papers in these areas to date. One of the most enjoyable aspects of my role is teaching MSc students what I have learned from my current research and applied consultancy. I know I am telling them things that no-one outside of LJMU will have heard about. This programme is taught in the City Campus. LJMU has invested £35 million in state-of-the-art laboratory facilities for our current and future sport scientists. All of our labs are furnished with the latest equipment which enables us to work with our students and partners to enhance our understanding of the science behind human performance and behaviour.